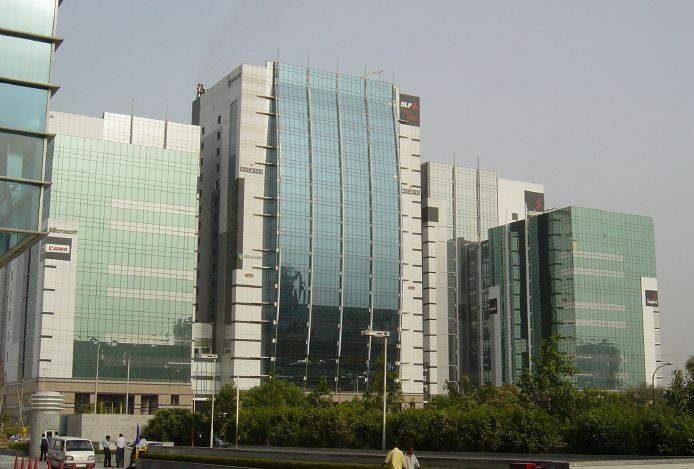 #99acresInsite: What is propelling demand for office space in South East Bangalore? 99acres.com analyses the growth drivers for office space segment in three key localities of South East Bangalore: Sarjapur Road, Electronic City, and Bannerghatta Road. The latest Insite Report (Jan-Mar 2016) by 99acres.com points out that growth in residential demand in several key localities in South East Bangalore stemmed from high absorption in the office space segment. Experts state that several corporates are looking for office space in South East Bangalore which has led to a healthy absorption in these sub-markets. Sarjapur Road, Electronic City, and Bannerghatta Road are the frontrunners amongst commercial hubs that contributed to a surge in housing demand in their vicinity during Jan-Mar 2016. Let’s have a look at what makes these markets popular in the commercial market, especially in the office space segment. Sarjapur Road stretches from the Outer Ring Road (ORR) intersection to Sarjapur town and enjoys the benefits of the popularity of ORR intersection which is considered by many as the most active realty destination in Bangalore. Accenture, Honeywell, Wells Fargo, CISCO, Intel, and Capgemini are some of the well-known firms located along the Sarjapur–ORR stretch. Office space demand at Sarjapur Road is primarily driven by prominent Information Technology (IT) and IT-enabled services (ITeS) sector along with a growing e-commerce segment. The demand for high intake can be attributed to factors such as easy access to the Central Business District (CBD) and the International Airport, availability of large land parcels and enhanced social infrastructure. Experts point out that due to limited availability of space along the ORR, office space demand is moving further towards Sarjapur Road. BS Nesar, Executive Director, Concorde Group adds, “The proposed Peripheral Ring Road (PRR) connecting Sarjapur Road and Varthur is also fuelling the demand for commercial projects in the region. According to Ram Chandnani, MD - Transaction Services, CBRE South Asia, commercial rental prices on Sarjapur Road remained largely stable during the January-March 2016 period over the October-December 2015 period. Chandnani further confirmed that the evolution of the stretch as an IT hub and availability of upcoming commercial supply has boosted residential activity in the region. Electronic city is another popular commercial market in Bangalore. Being a Special Economic Zone (SEZ) and a major IT hub, Electronic City houses some well-known companies like Infosys, GE, and Tata Power. It has been recognized as an important industrial base with the presence of small to large scale industries across the IT and ITeS sector, majority of them offering software and hardware services. Chandnani states, “The availability of quality commercial space at reasonable rental rates and sound connectivity are key growth drivers for Electronic city. The completion of the elevated expressway which helped in reducing travel time and improving connectivity to other regions of the city is another important growth driver for this locality.” Nesar adds that the proposed three stations along the Metro phase II that would pass through Hosa Road, Electronic City Phase I and II can also be attributed for this locality’s popularity in the real estate market. According to Nesar, Bannerghatta Road, a 50-km highway that links Bangalore with Anekal, Jigani, and Bannerghatta, has played a significant role in the growth of commercial real estate in South Bangalore. Sound social infrastructure along with good connectivity to the established IT corridors of Sarjapur ORR, Electronic City and other parts of Bangalore have been cited as major factors for the realty growth of Bannerghatta Road. NICE Corridor is another factor that boosts this region’s real estate prospects by connecting Electronic City, Bannerghatta Road, Madiwala, and other prominent locations. Nesar points out that established residential area with ample availability of housing units in and around the region are also key growth drivers for commercial development in the area. The region is also well-connected to Koramangala and BTM Layout which are important residential and retail belts adding to the locality’s appeal.